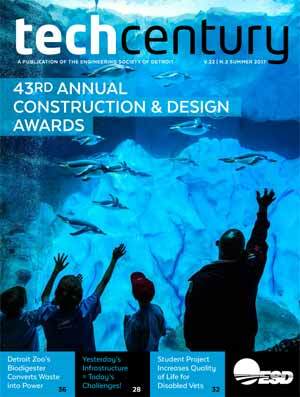 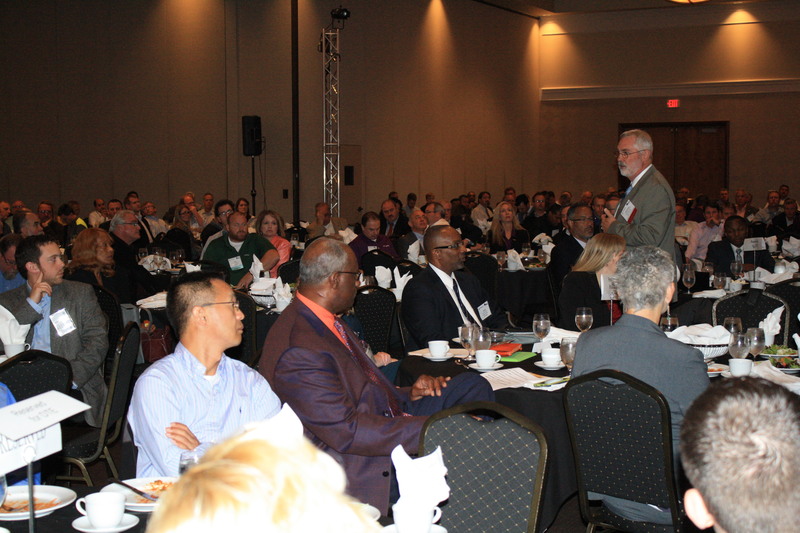 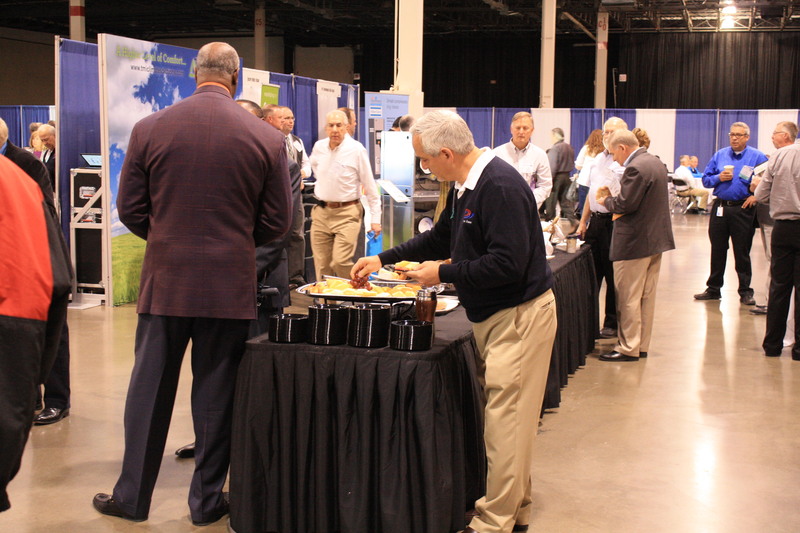 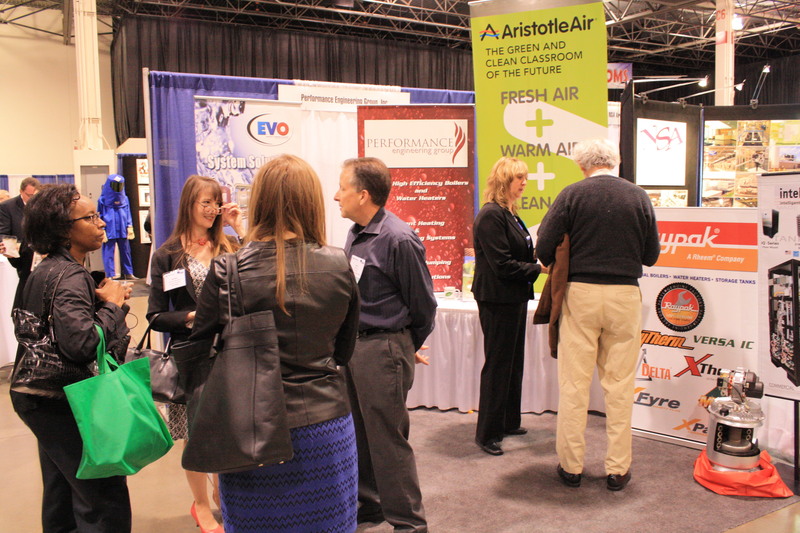 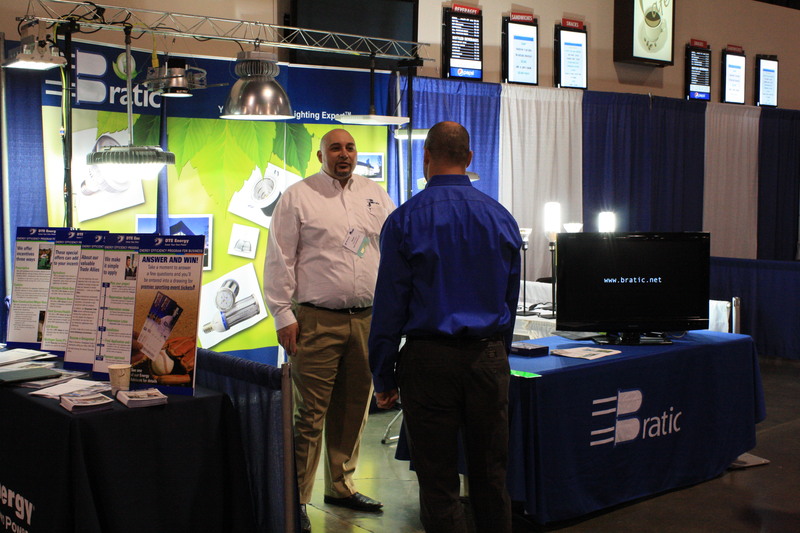 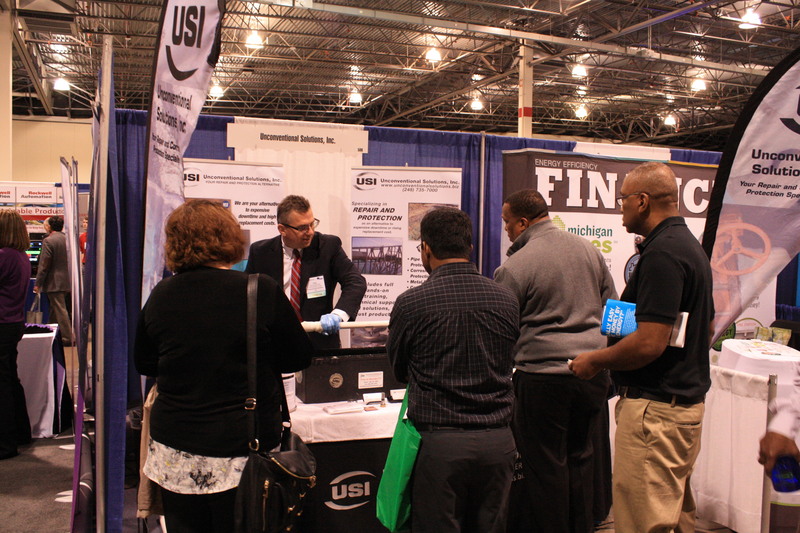 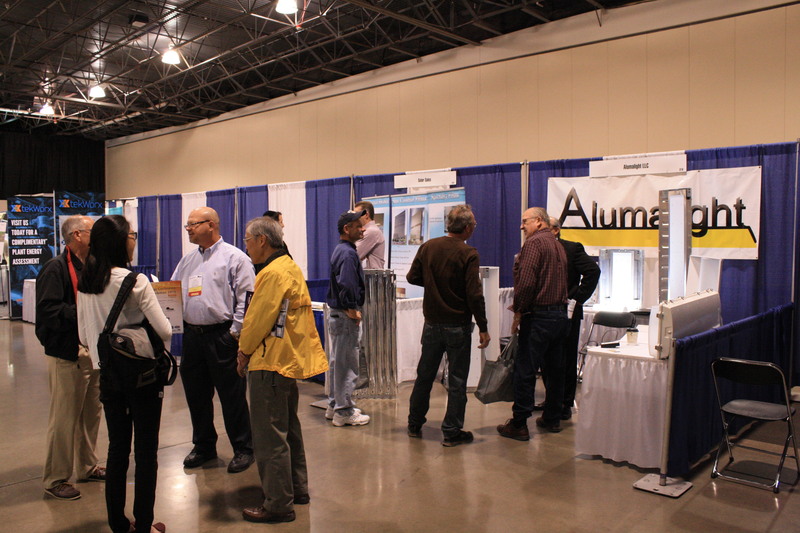 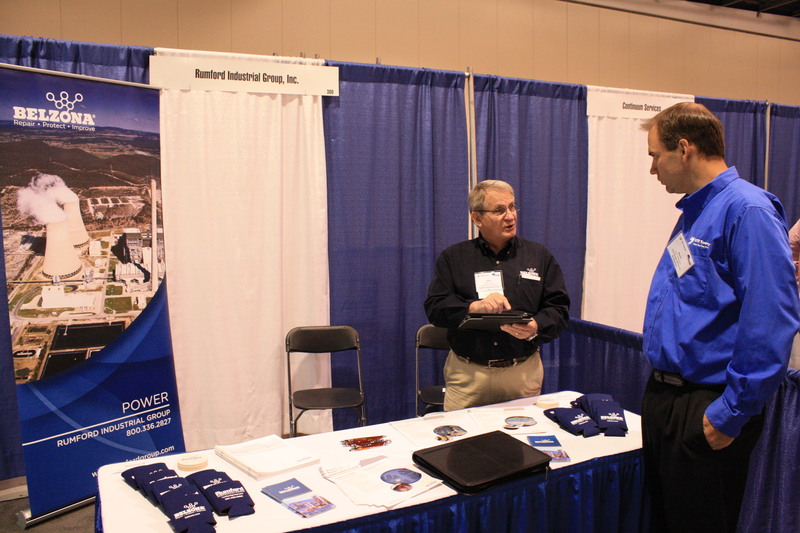 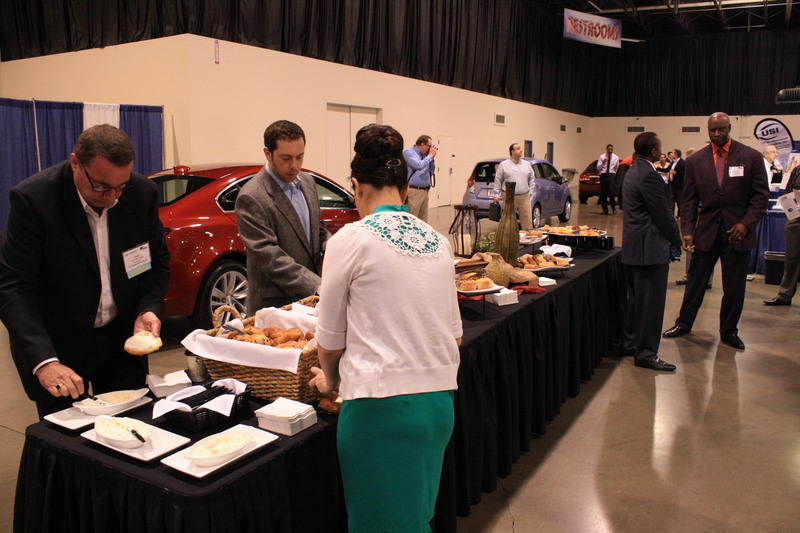 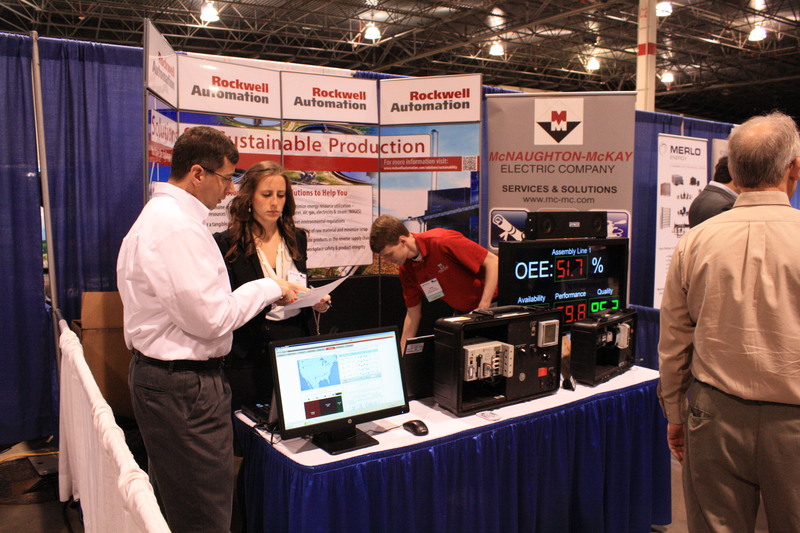 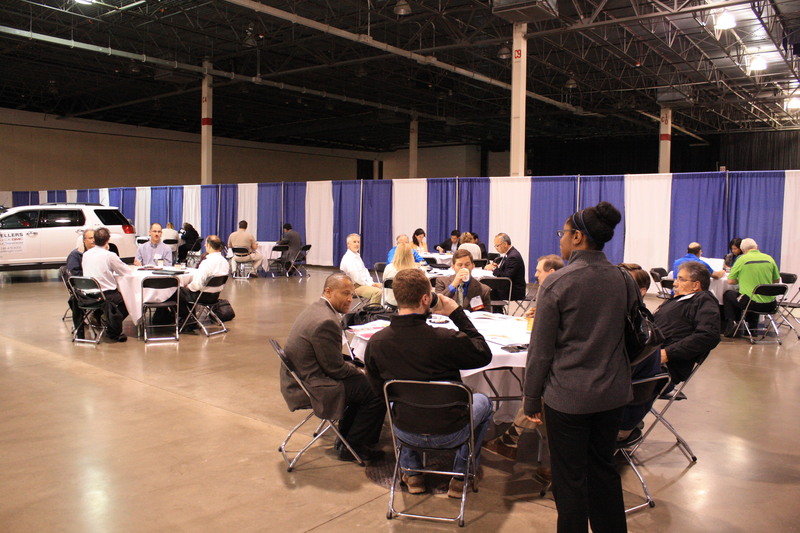 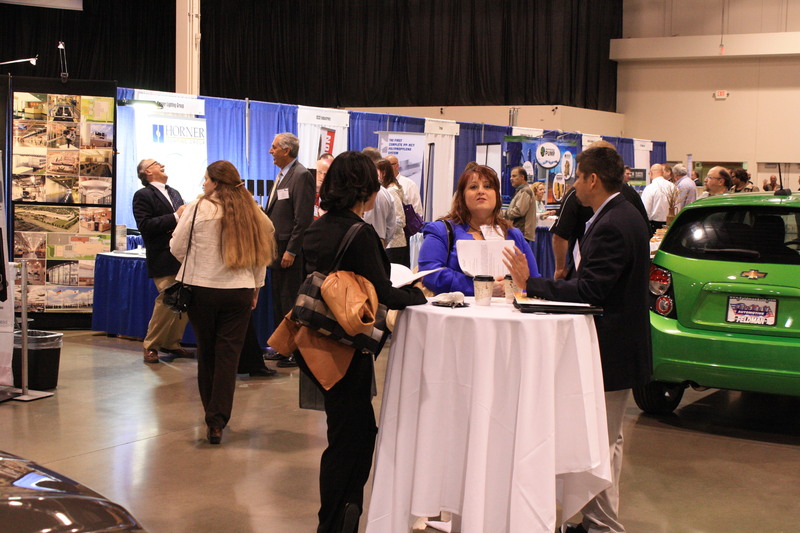 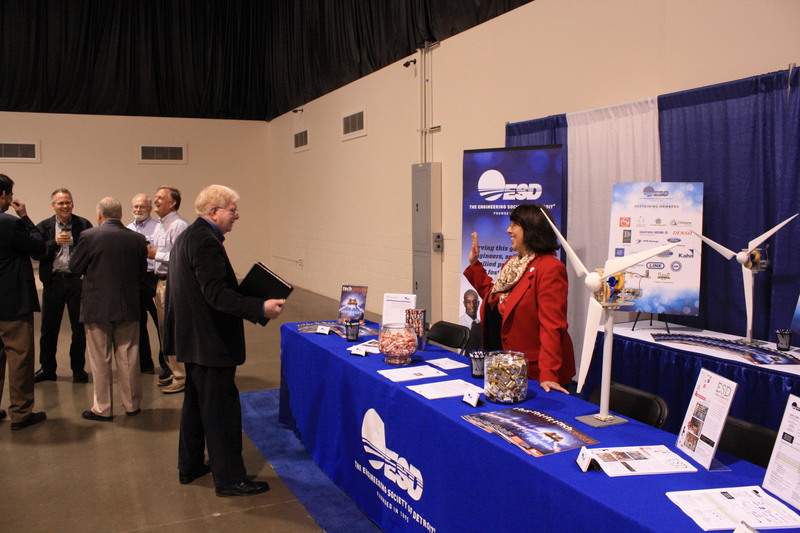 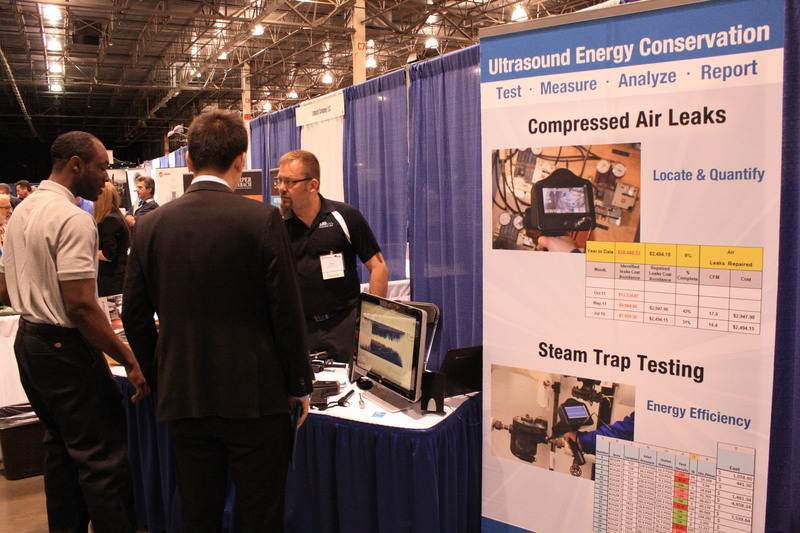 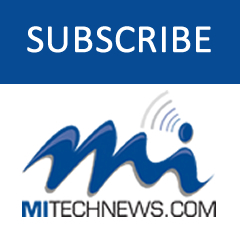 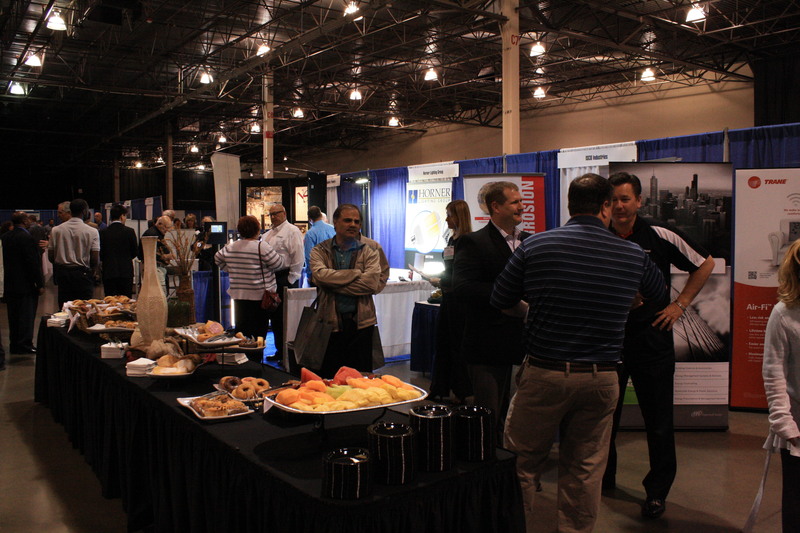 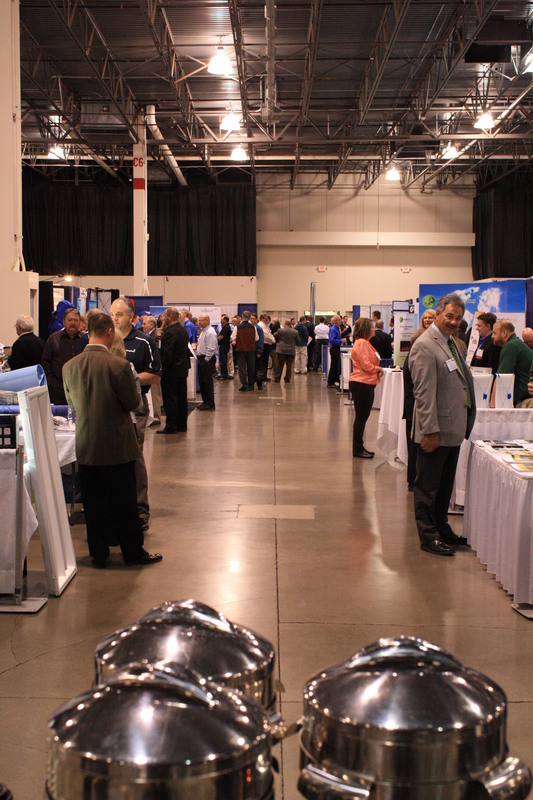 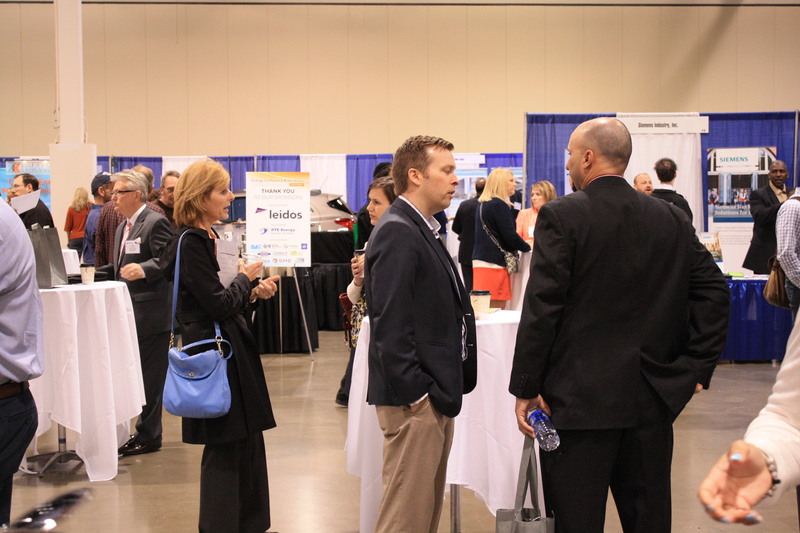 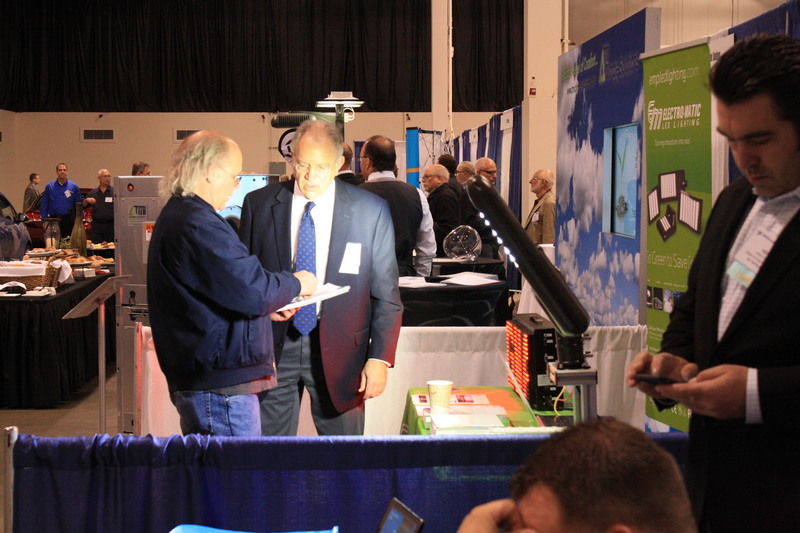 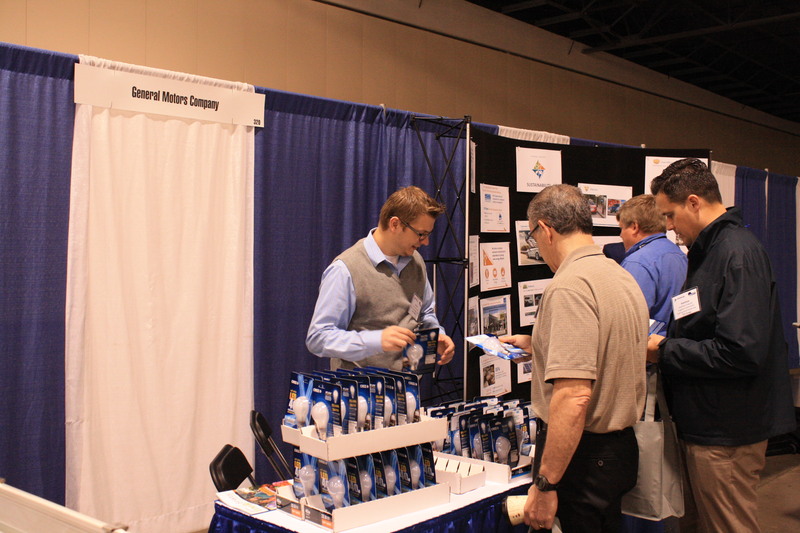 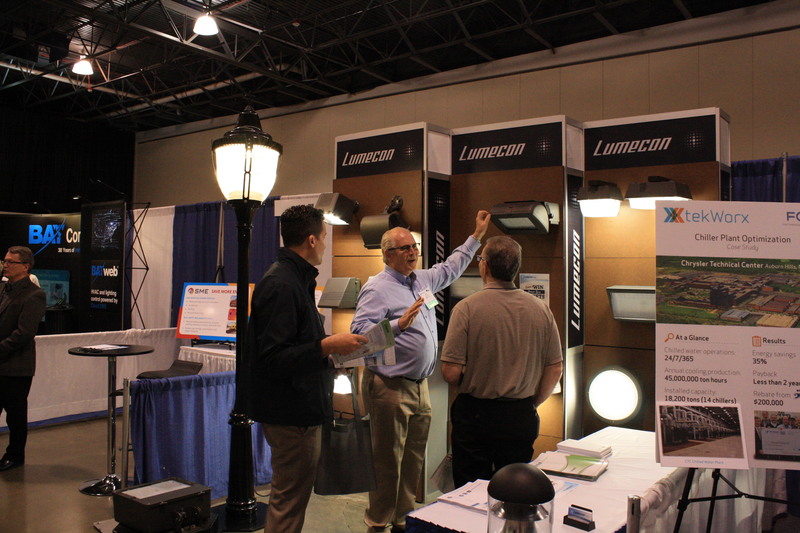 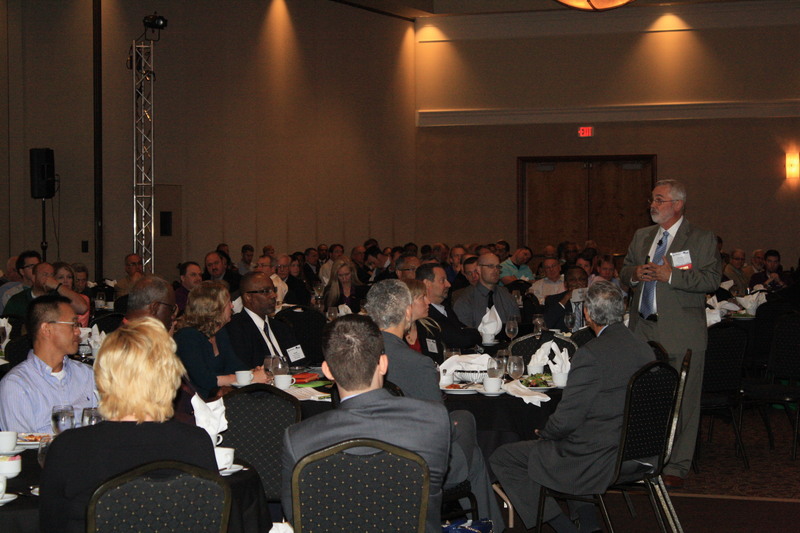 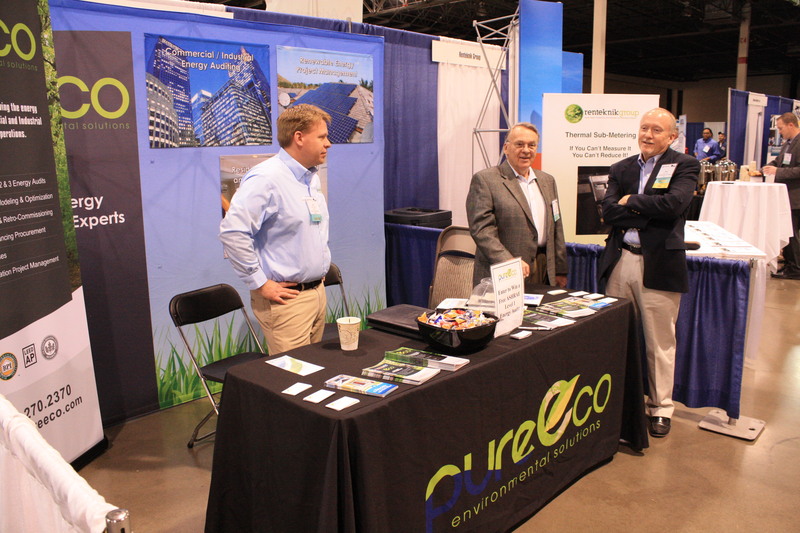 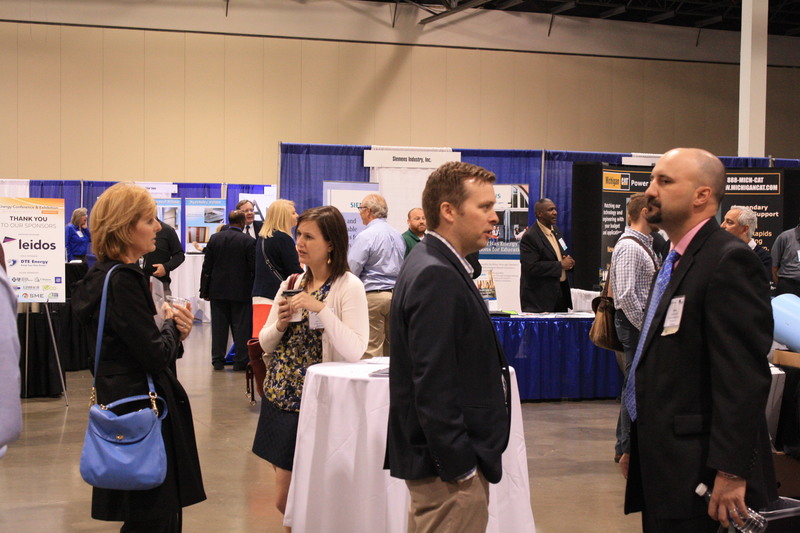 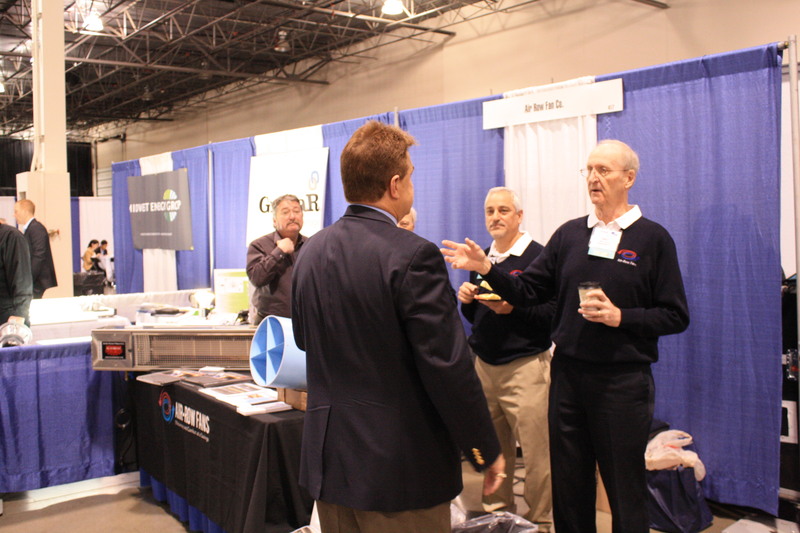 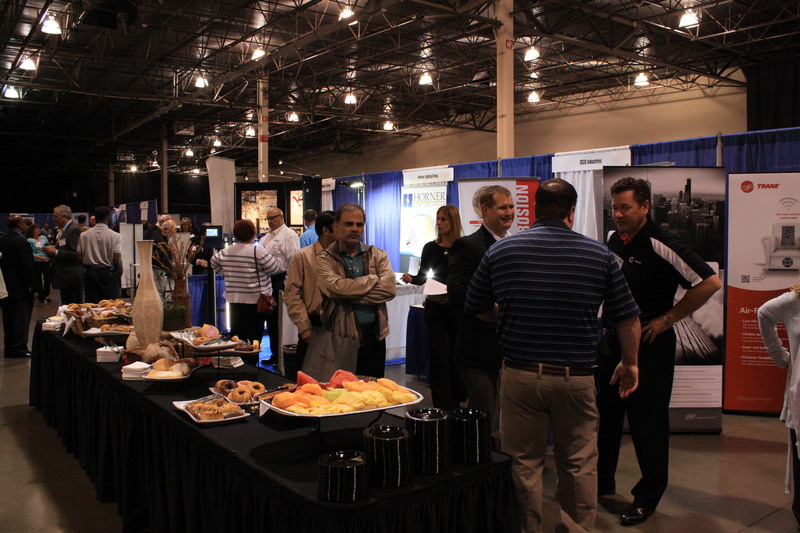 NOVI — The 2015 Energy Conference and Exhibition, hosted by DTE Energy and The Engineering Society of Detroit, got under way Tuesday morning at the Suburban Collection Showplace in Novi. 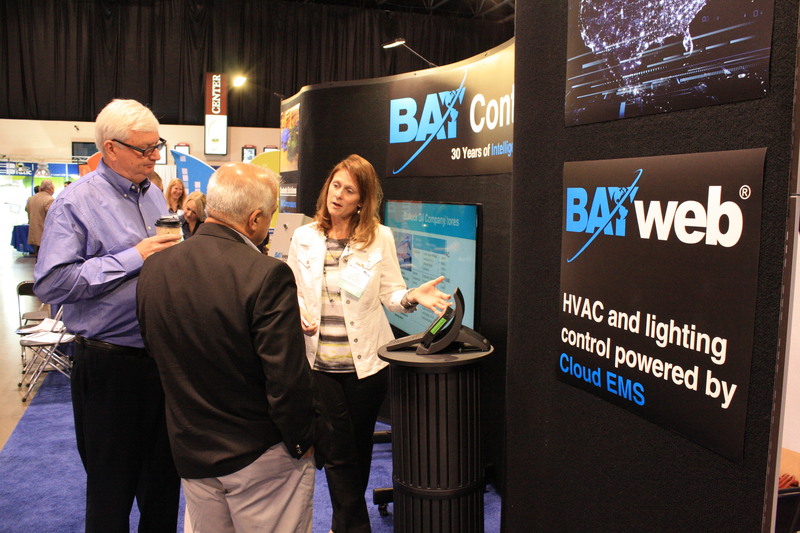 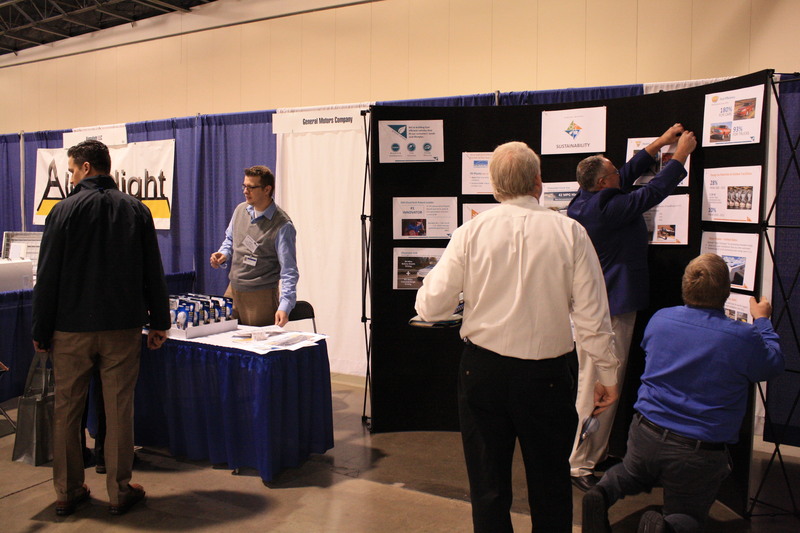 Exhibits from 60 energy efficiency vendors run from 8 a.m. to 3 p.m. Also, presentations on five tracks in energy efficiency and green technology run from 9 a.m. to 1:30 p.m.
Here’s a photographic look at the day’s activities. 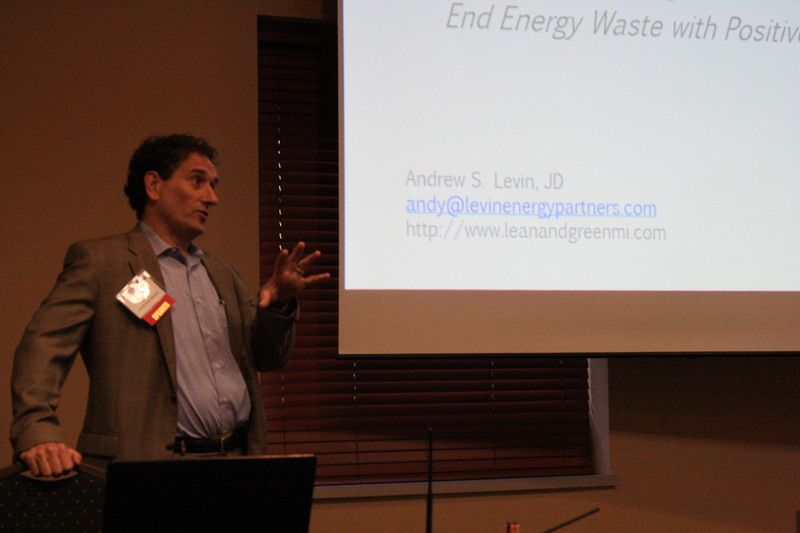 Andy Levin, president of Lean & Green Michigan, explains the PACE (Property Assessed Clean Energy) financing program for energy efficiency improvements in a breakout session. 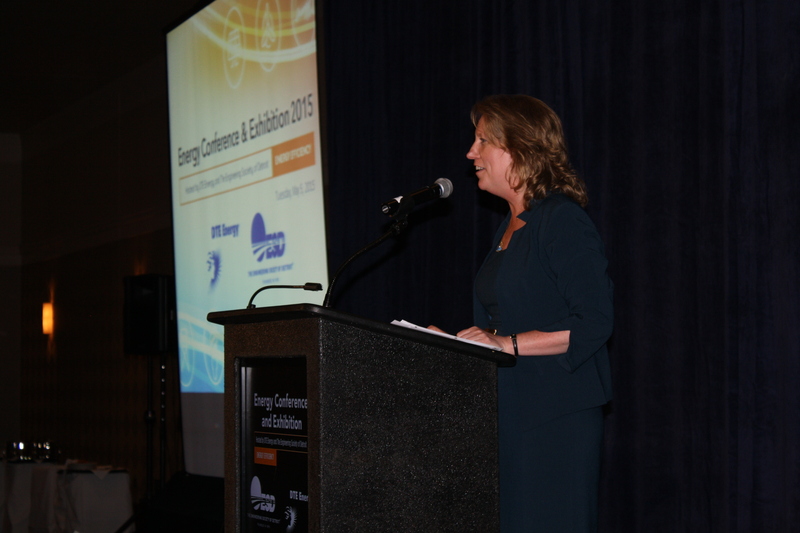 Irene Dimitry, vice president of marketing and renewables for DTE Energy, opens the general session of the 2015 Energy Conference & Exhibition, hosted by DTE and The Engineering Society of Detroit. 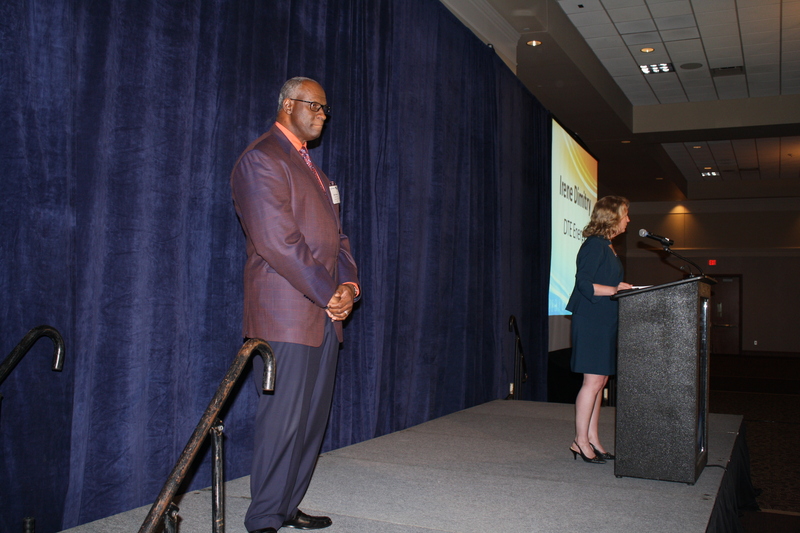 ESD President Robert Magee joins Irene Dimitry on stage to honor the winners of the DTE Energy Efficiency Awards. 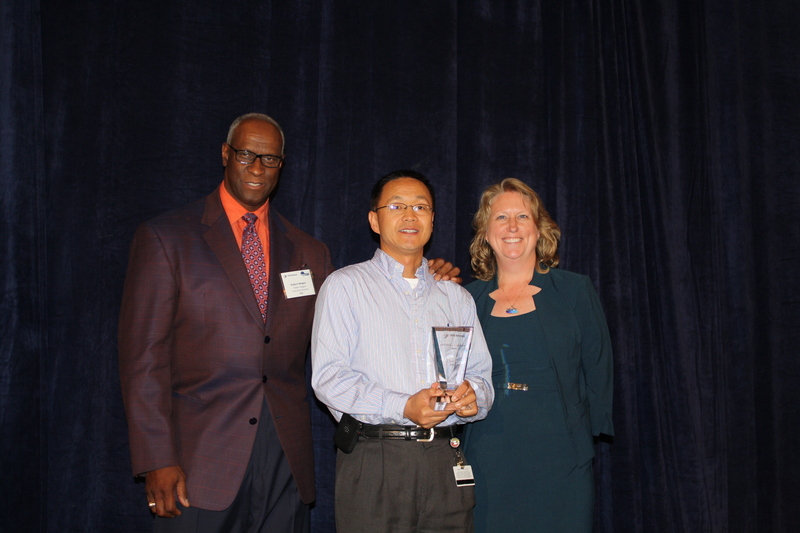 John Wu of Detroit Diesel Corp. (center) accepts the DTE Energy Education Energy Efficiency Award from Robert Magee and Irene Dimitry. 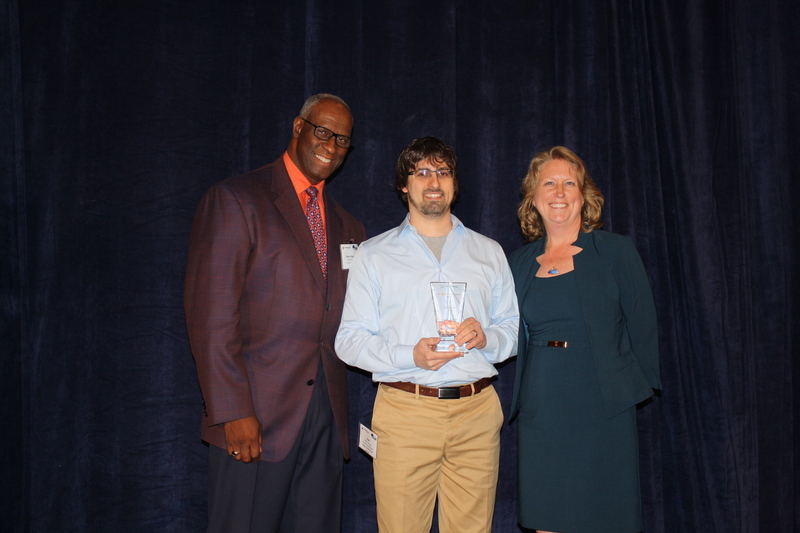 Matt Finneran of Magna Shelby Foam Systems accepts the DTE Impact Energy Efficiency Award from Robert Magee and Irene Dimitry. 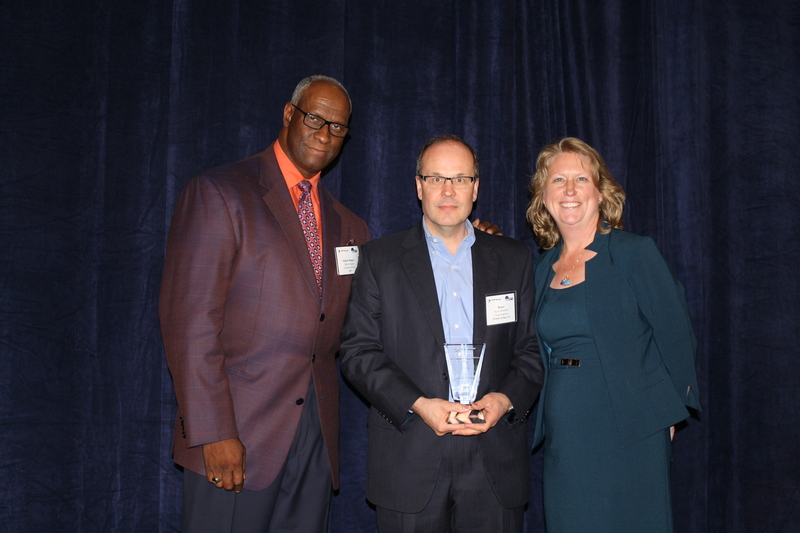 Bryan Whitfield of Fiat Chrysler Automobiles accepts the DTE Innovation Energy Efficiency Award from Robert Magee and Irene Dimitry. 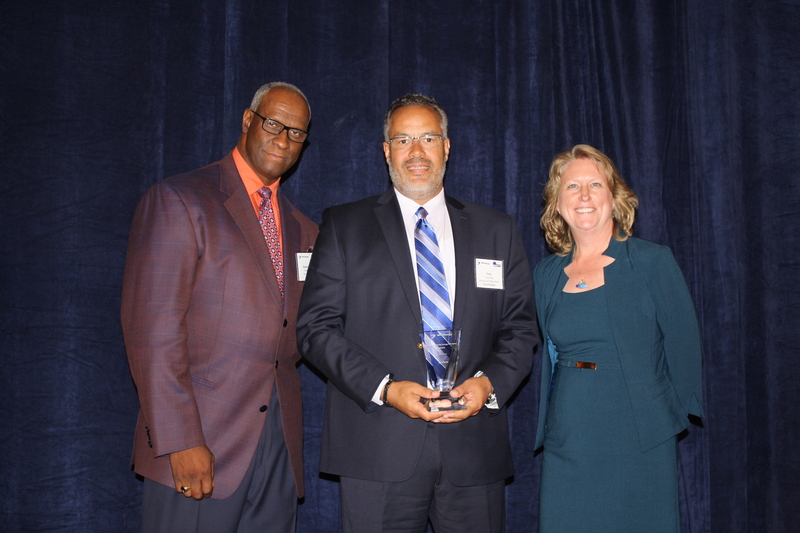 Terry King of the City of Pontiac accepts the DTE Leadership Energy Efficiency Award from Robert Magee and Irene Dimitry. 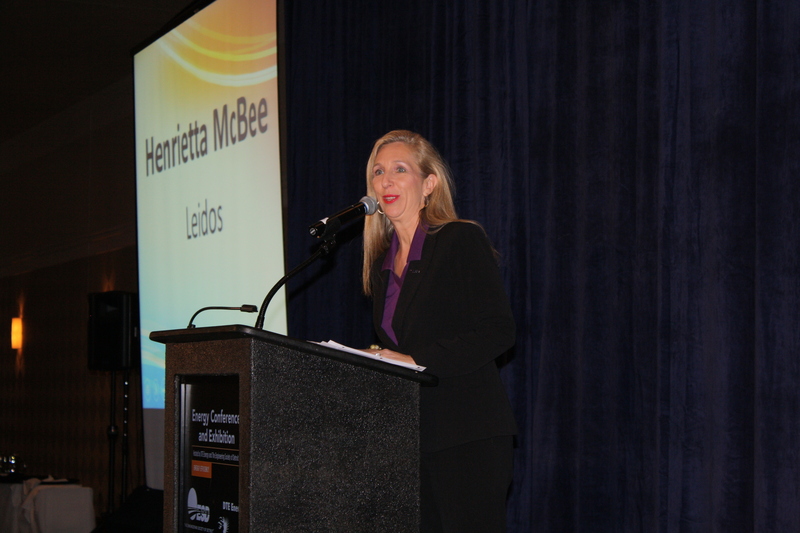 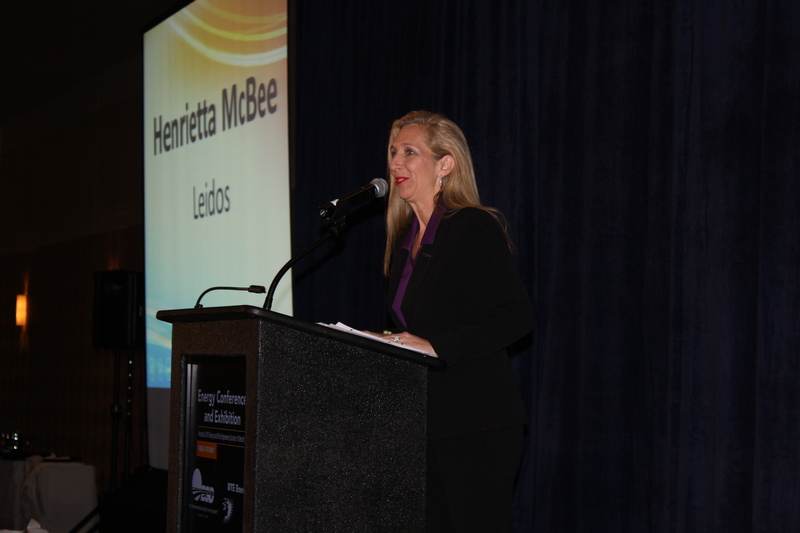 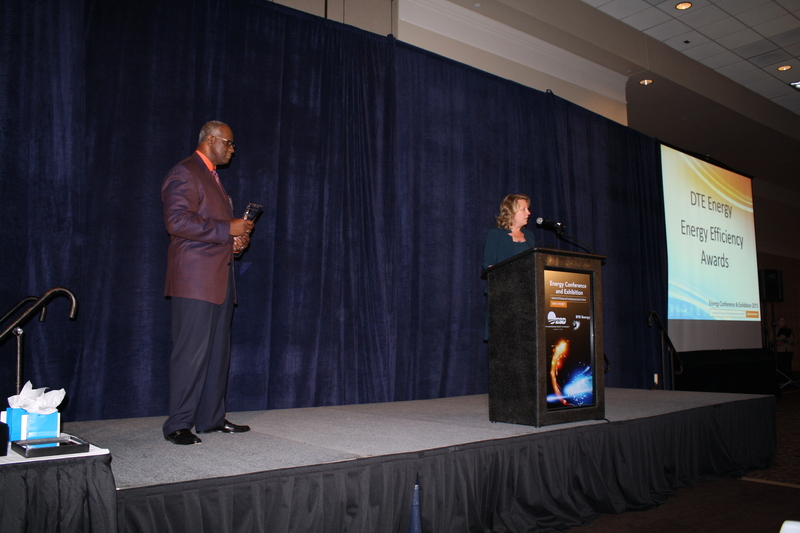 Henrietta McBee of Energy Conference and Exhibition diamond sponsor Leidos addresses the crowd. 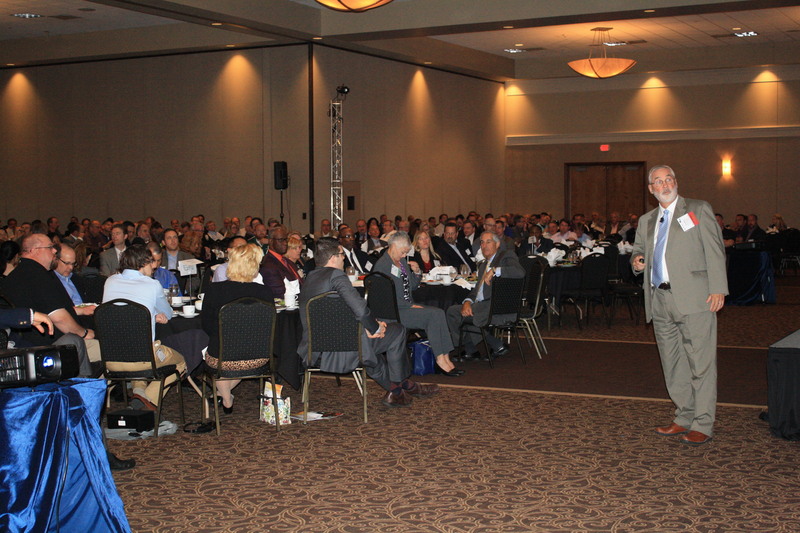 Keynote speaker Christopher McGill, vice president of policy analysis at the American Gas Association, addresses the crowd.